Did you watch this series on PBS? I don’t have television service (mostly because I’m too busy to watch much), so I got this series from Netflix. Rather amazingly, it was available when the show aired here on television, so I pretty much finished at the same time the series ended last Sunday night. 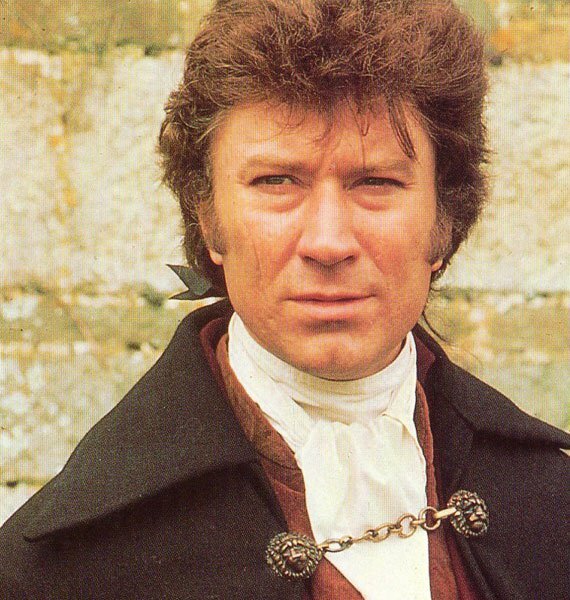 Almost 40 years ago Captain Ross Poldark galloped across the TV screens of millions of PBS viewers, vexing villains and winning female hearts in one of MASTERPIECE’s earliest hit series, Poldark. Now the gallant captain rides again, allowing a new generation to delight in the exploits of an unconventional romantic hero. Aidan Turner (The Hobbit) stars as Ross Poldark, a redcoat who returns to Cornwall after the American Revolutionary War to discover that his father is dead, his lands are ruined, and his true love is about to marry his first cousin. Also starring is Eleanor Tomlinson (Death Comes to Pemberley) as the fiery servant Demelza, a strong-willed miner’s daughter who runs away from home and finds refuge in Poldark’s enlightened household. In a special appearance, Robin Ellis, who starred as Ross Poldark in MASTERPIECE’s original adaptation, plays Reverend Halse, the village’s sin-obsessed parson. Poldark is based on a beloved series of novels by Winston Graham. The first, Ross Poldark, was published in 1945; the last, Bella Poldark, appeared in 2002, the year before Graham’s death. All twelve are subtitled A Novel of Cornwall and trace the fortunes of a landed, mine-owning family in windswept Cornwall. Loved it. When I found out a year or more ago that this was coming up, I decided to watch the original series from the 1970s (starring Robin Ellis as Ross Poldark). It was good, but I didn’t find the actors and actresses nearly as compelling as the ones in the new series. I did enjoy the portrayals of Jud and his wife more in the old series though. They were more fun. But come on . . . see for yourself. Which Poldark would you choose? 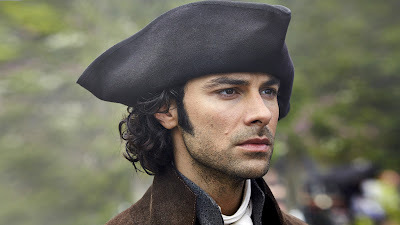 For me, Aidan Turner is the perfect Ross Poldark, a good man in dire circumstances trying to help the local people and infuriating the powers that be along with his own family as he does it. The series is beautifully filmed and acted and ended on a killer cliffhanger. I can’t wait for it to return next year! Have you seen the new Poldark? Have you seen the original version? What did you think? Which did you like better? I watched both series. I miss the original Demelza, but I did enjoy this first season of the new Poldark. It is darker and not so much like a soap opera. Yes, I like the old Demelza, too. She was very cute. I'm very much looking forward to the new series. I can't believe they ended this one where they did. Oh my! I admit I found this online and watched it all before it came out on PBS. too anxious, but not too old to admit that I could watch Aidan Turner for hours. I was a fan of the old series too. It certainly did well. I've wanted to go to Cornwall for decades. The new show only reignited my interest! Happy 6th Blog-o-versary To Us! The Skiing Suitor Book Launch Party! !